Yes, They got married! Well, sort of! Here's a new app. available by the name of Auto3G on Big Boss repository, this app basically turns off the 3G radio and switches to 2G (EDGE) when you lock your phone, and turns it back on as soon as you slide-to-unlock your phone again. Obviously, you need your phone be JB and have 3G to use it. TetherMe: Tethering on iPhone Even If Your Carrier Doesn’t Support It!!
! !Don't pay $20.00 for MyWi when you can get this!! TetherMe. TetherMe enables native tethering option on all iPhones from iOS 3.x up to iOS 4.0.1. Yes, the Spokewoman from Apple confirmed to CNET that they already have a patch for the new exploit from the DevTeam. 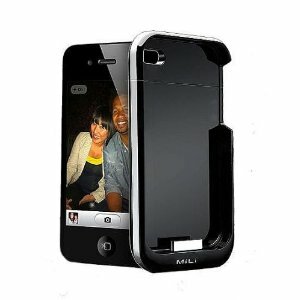 New carrier for the iPhone?? For a long time we've been hearing rumors that Verizon is getting a piece of the pie from Apple. Now, DigiTimes reports that Apple placed an order for CDMA iPhones built by Pegatron - a subsidiary of ASUStek. How many are they expected to deliver?? 10 Million of the new iPhones. Verizon has been working on the advertising campain. Apple and Pegatron declined comments but these rumors can't be ignored. Using Spirit, you can JB (not unlock) all iPhone’s (Edge, iPhone 3G and iPhone 3GS) and iPod touches (iPod touch 2G and 3G) running on the firmware version 3.1.3/3.1.2, and iPad and iPad 3G on firmware 3.2 – untethered. Jobs' claim that you can supplant Flash with the App Store and the Web omits a critical point: Even if you could get the same experience with those means, it wouldn't be free. Gaming isn't the only example, as the MLB At Bat app costs $15 but there's no way for MLB.tv subscribers to watch games for free in the iPhone Web browser. Opera Mini for the iPhone plattform. It will be available in the App Store for free in under 24 hours from now. This is what the CEO of Opera said in an official press release today. iPad Jailbreak with Spirit is Real! Wow! that was quick! MuscleNerd of iPhone Dev Team has just posted a tweet which confirms that iPad has been jailbroken in less than 24 hours of release.